October is my birthday month (countdown to 26th, yay!) and is also usually the Cancer Awareness Month. To commemorate those who have passed from cancer, and those who still suffer, I was moved to feature a campaign to raise funds for cancer patients in Nigeria. Wana Udobang is collaborating with Sebeccly Cancer Care and Support Center (SCC) with the goal of raising funds for women diagnosed with breast cancer. 1K4Cancer stands for each donor giving a minimum of one thousand naira to the campaign. 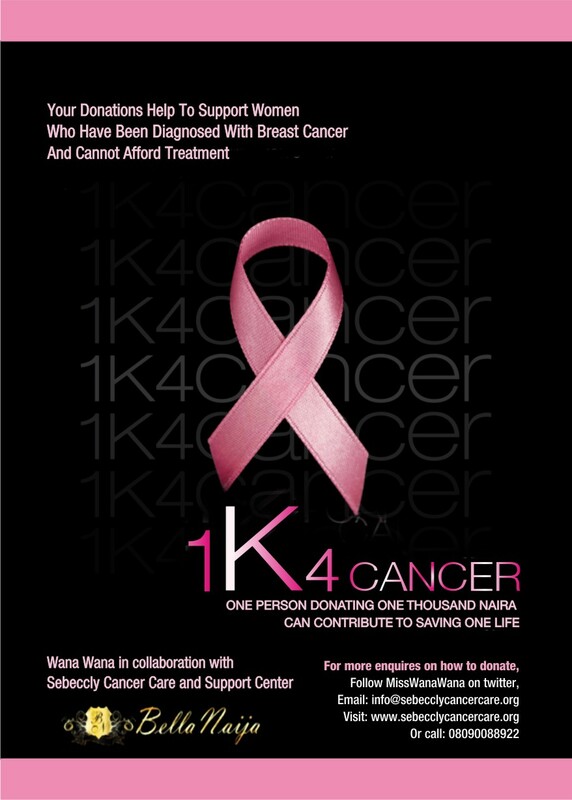 1K4Cancer arises from the dire need to assist breast cancer patients who cannot afford treatment. The vision is that if one thousand people donate one thousand naira each, 1K4Cancer will successfully raise one million naira for breast cancer patients. The funds will go towards chemotherapy and radiotherapy treatment for a few women who are currently under the care of SCC. 1K4Cancer will run throughout the month of October and will document monies raised via twitter. This information will also be available on the SCC website alongside photographs taken with individual and organizational donors. Sebeccly Cancer Care and Support Center is an organization dedicated to ending breast cancer through the power of grassroots action and advocacy by providing information, support, and campaigning for improved standards of care for patients. SCC is for ladies seeking awareness, for breast cancer patients and for caregivers. Wana Udobang is a writer and broadcaster; currently an On Air Personality on 92.3 Inspiration FM, she hosts the daily "Afternoon Drive" from 3pm to 7pm. 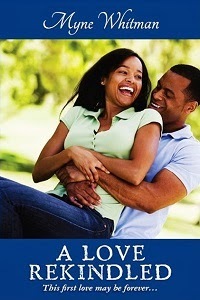 She is also a contributing writer for Elan, BellaNaija, and several lifestyle magazines. For more enquires on the campaign and on how to donate, please follow Wana on twitter, email - info@sebecclycancercare.org, visit - www.sebecclycancercare.orgor call – 08090088922.